FAEx Ceramics Facilitator Asia Sosnowski and Co-Founder Piper Dorrance glazing wheel-thrown plates. Wheel Skills 101 is a beginner/intermediate course for those interested in learning to throw pots on a wheel. There will be significant one-on-one instruction and hands-on experience, as the course is limited to four people. Classes will take place 6-9 pm on five Monday nights between June 18th and July 16th. 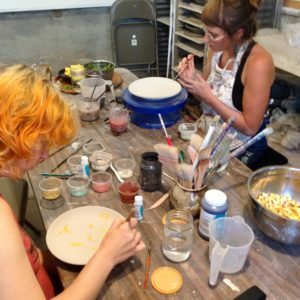 The $225 workshop fee includes clay, glaze and firing fees. Tools will be provided. FAEx will offer another workshop if there is an overwhelming response. River Bed to Wood Fire features a scientific and anthropological approach to ceramics, with an emphasis on learning to handle and form clay. 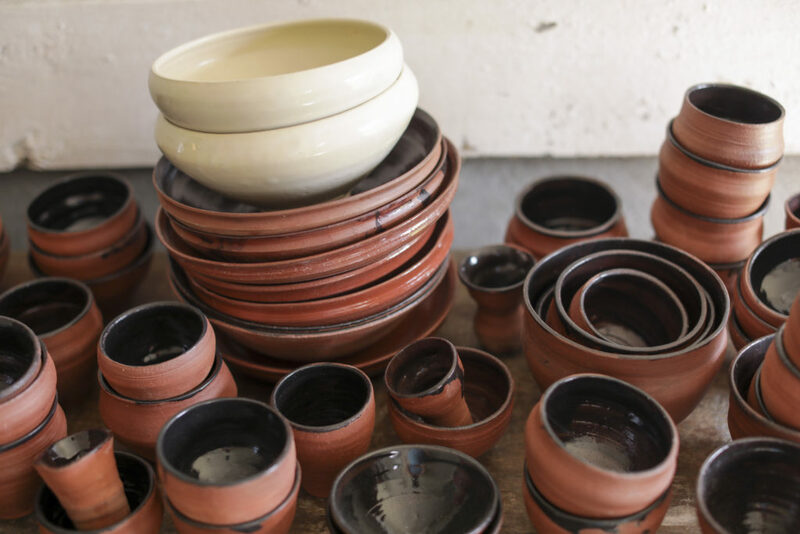 Participants will visit the Catskill Creek to harvest native clay and create coil pot vessels to burnish and fire. The culminating session will be a pit firing, a natural kiln dug in the earth. The public is invited to a Community Day to enjoy the pitfire and learn about the process. This workshop is free and open to the public. Stay tuned for official dates! Sosnowski is an educator, artist and potter. She trained to make tableware and is currently exploring other forms and methods of working with clays. 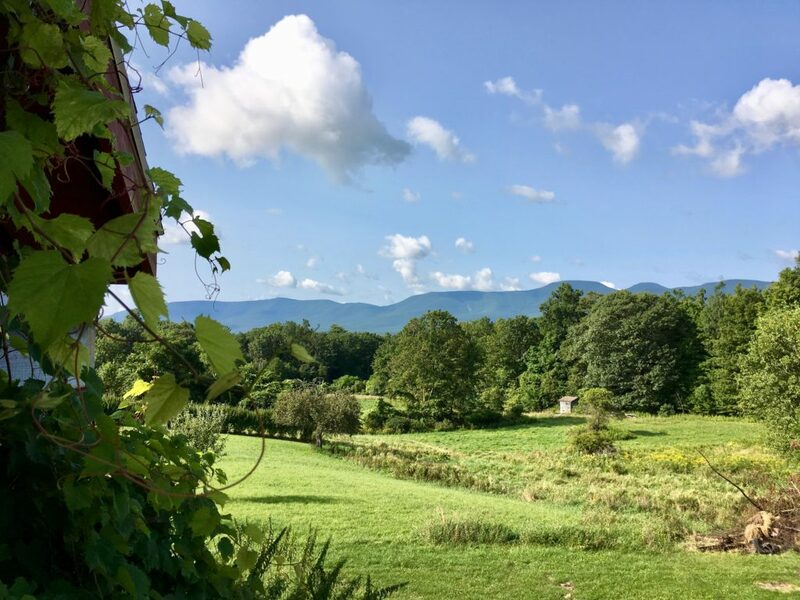 The FAEx ceramics studio, located next to the community garden, features four different wheels, two kilns and stunning views of the Catskill Mountains. Freehold Art Exchange (FAEx) is an artist residency program for visual and interdisciplinary artists invested in social justice, environmental sustainability, and community engagement. Since 2012, Artists-­in­-Residence have lived onsite, using studio spaces and workshops in the repurposed dairy barn. The facility is on 57 acres of land in Freehold, including a vegetable garden and hiking trails. FAEx will be completing their passive solar, ADA-compliant three-bedroom residency house this summer. They are also currently renovating the woodshop, where community partner Catskill Maker Syndicate will offer workshops in mechanical skills from auto repair to CNC milling and advanced metalwork. River Bed to Wood Fire is made possible in part with public funds from the Decentralization Program of the NYS Council on the Arts, administered in Greene County by the Greene County Council on the Arts through the Community Arts Grants program. ← Tiny Books. Big Ideas.